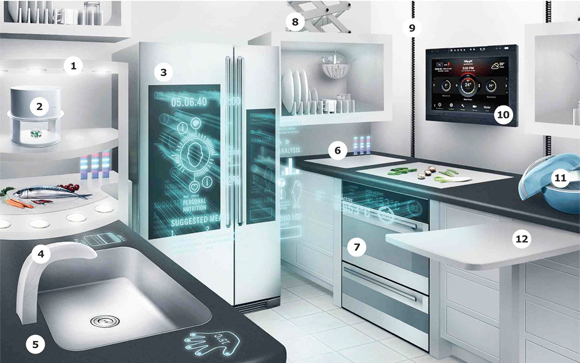 Ikea fans dream up a concept kitchen with technology from Hyundai and MIT. But haven’t we seen this all before — in the 1950s? Today’s future kitchen looks a lot like our parents’ future kitchen. Ikea designed a kitchen for 2040 — a sleek minimalist layout packed with some pretty cool conceptual gizmos from MIT’s tech labs and Hyundai. 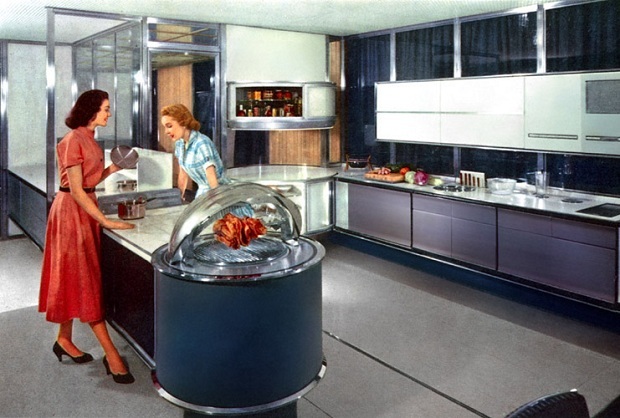 Other than a few tweaks, however, most of this looks a lot like the concept kitchens promoted by Monsanto, Whirlpool, GE and others during the 1950s. The biggest diference? Hydroponics and food goo. 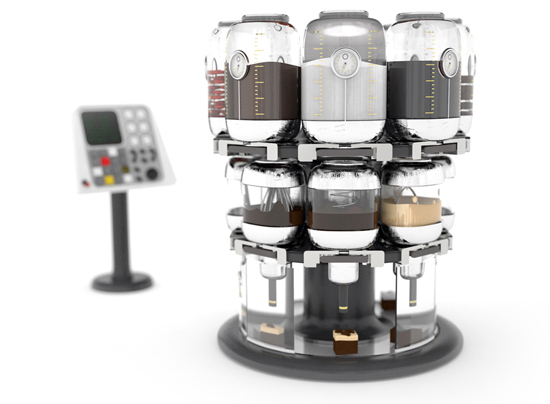 MIT gadgets including “The Digital Fabricator”, “The Robotic Chef” and “The Virtuoso Mixer”, numbers 2, 6 and 11, are fresh additions. The Digital Fabricator is a 3D food printer of sorts. Your favorite ingredients are stored in refrigerated canisters which are then piped into a mixer and deposited in layers. Then the mixture is heated or cooled for flavor and texture. The “Robotic Chef” transforms solid objects (a fancy way to say chop and dice) and the “Virtuoso Mixer” creates food based on the nutritional values you crave. Solidified food goo, judging from the picture. Other than these tweaks, however, Ikea’s kitchen for 2040 feels very 1950s. When appliance and plastics companies were rushing to redefine modern glamor in the home, they competed to create future concept kitchens with sleek gadgets allowing effortless cooking. Philco-Ford Corp. profiled a flat screen panel which could display menus and a calender. GE promoted a kitchen dashboard to computerize and track food preparation. Monsanto showcased a kitchen with “power refrigeration shelves”, a “microwave range” and an “ultrasonic dishwasher” which used sound waves to clean plastic plates. Frigidaire also rolled out its future kitchen in 1957 — an Ikea-looking layout with a pod for roasting chickens at the end of a countertop. Ikea’s kitchen of 2040 includes a lot of things, like adjustable height countertops, pull-out cutting boards, multi-touch faucet and energy monitors, which we already use. But who knows? Maybe a refrigerator that grows its own food could be next. Remember, microwaves were the hot star of Monsanto’s kitchen back in 1957.